Thus, with three wins and six draws, Wesley So is the winner of the London Chess Classic 2016! 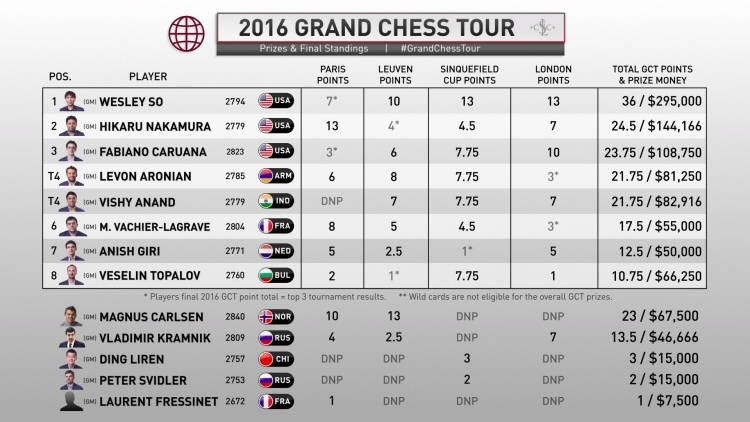 Replay all the games of the London Chess Classic 2016. Now, having won the Sinquefield Cup and a runner up in Leuven earlier this year, Wesley So is your Grand Chess Tour 2016 champion! 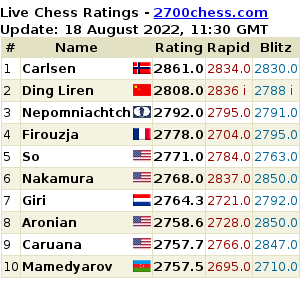 This is a big feat, indeed, for Wesley So. He will also start the year 2017 being a member of the super-elite club of 2800. Next stop: World Champioship. i verily suspect that our sports and olympic officials are paid not to produce gold medalist athlete…who pays? hahahahaha may be other countries…our great athletes are playing for other countries not only for chess…but for other sports….PERO DI PINALABAS SA MEDIA….